The Ukrainian situation received a lot of press today. As we pointed out to you yesterday, Ukraine has only 7.5 billion dollars of reserves left (or about 5 weeks of imports). The USA stated that they would lend them $2 billion dollars. However Russia will no doubt accelerate it’s repayment of a 3 billion USA loan given in 2013. The Ukraine is nothing but a cash drain on the west. Oil continues to be the big topic of the day. At one point in the day, both Brent and WTI traded at identical levels as Europe continues to deflate. The losses in the oil patch are huge due to losses in the mega dollar short plus the oil and other commodities that were bought with the dollar short. The yen carry trade continues to unwind as does the Nikkei/gold cross trade. Expect to see billows of massive smoke from the mammoth losses in the trillions. The gold comex today had a poor delivery day, registering 0 notices served for nil oz. Silver comex registered 0 notices for nil oz. Three months ago the comex had 303 tonnes of total gold. Today the total inventory rests at 247.23 tonnes for a loss of 56 tonnes over that period. In silver, the open interest rose by 775 contracts with yesterday’s silver price up by 15 cents. The total silver OI continues to remains relatively high with today’s reading at 155,983 contracts. However the bankers are still loathe to supply much of the non backed silver paper. The January silver OI contract remains at 15 contracts. In gold we had a large increase in OI with the rise in price of gold yesterday to the tune of $16.70. The total comex gold OI rests tonight at 399,525 for a gain of 5013 contracts. The January gold contract lowers to 87 contracts. Sometime in January the LBMA will officially stop providing the GOFO rates. The total gold comex open interest rose today by 5013 contracts from 394,512 all the way up to 399,525 with gold up by $16.70 yesterday (at the comex close). We are now onto the January contract month. The non active January contract month saw it’s OI contracts fall to 87 for a loss of 37 contracts. We had 0 contracts served yesterday. Thus we lost 37 gold contracts standing or 3700 oz will not stand for delivery in this January contract month. The next big delivery month is February and here the OI fell by 7,602 contracts to 189,877 contracts with many moving to April. The estimated volume today was poor at 107,599. The confirmed volume yesterday was fair at 163,473 contracts, even though the high frequency traders gave some help with respect to volume. Today we had 0 notices filed for nil oz . And now for the wild silver comex results. Silver OI rose by 775 contracts from 155,208 up to 155,983 with silver was up by 15 cents yesterday. The front January contract month saw its OI remain at 15 contracts for a loss of 0 contracts. We had 0 notices filed yesterday, so we neither gained nor lost any silver contracts standing for silver in the January contract month. The next big contract month is March and here the OI fell by 51 contracts up to 104,293. The estimated volume today was fair at 34,196. The confirmed volume yesterday was fair at 29,083. We had 0 notices filed for nil oz today. The rise in silver is certainly scaring our bankers into supplying more non backed paper. Today, 0 notice was issued from JPMorgan dealer account and 0 notices were issued from their client or customer account. The total of all issuance by all participants equates to 0 contracts of which 0 notices were stopped (received) by JPMorgan dealer and 0 notices were stopped (received) by JPMorgan customer account. 8 (notices filed for the month x 100 oz) +OI for January (87) – 0(no. of notices served upon today) 9500 oz (.2954 tonnes). Several weeks ago we had total gold inventory of 303 tonnes, so during this short time period 56 tonnes have been net transferred out. We will be watching this closely! Total of all silver inventory (dealer and customer) 173.363 million oz. The total number of notices filed today is represented by 0 contracts for nil oz. To calculate the number of silver ounces that will stand for delivery in December, we take the total number of notices filed for the month (104) x 5,000 oz to which we add the difference between the OI for the front month of January (15) – the Number of notices served upon today (0) x 5,000 oz = 595,000 oz the number of ounces standing so far for the January delivery month. we neither gained nor lost silver ounces standing for the January contract month. Dec 24.2014: wow!! somebody robbed the cookie jar/ we had a huge withdrawal of 11.65 tonnes from the GLD inventory/inventory at 712.90 tonnes. England must be bleeding badly! Jan 12.2014 we had a huge withdrawal of 1.915 million at the SLV/inventory at 327.979 million oz. Dec 29.2014 we had a small loss of 431,000 oz at the SLV to probably pay for fees/inventory 330.138 million oz. 1. Central Fund of Canada: traded at Negative 9.2% percent to NAV in usa funds and Negative 9.1 % to NAV for Cdn funds!!!!!!! Note: Sprott silver trust back into positive territory at +1.00%. Gold priced in euros surged through the €1,050/oz barrier to a high of €1,052.04 per ounce this morning. 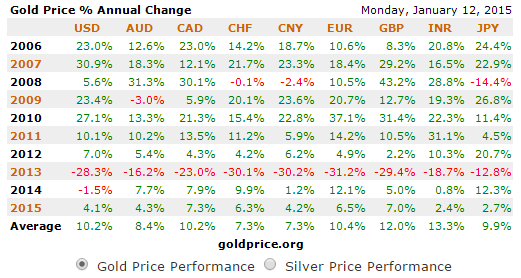 It’s up 7.2% this month, outperforming gold in dollars which is up 4.8%, and building on the 12% gains seen in 2014. Market participants are increasing allocations to gold in order to hedge a ‘Grexit’ and risks posed by euro money printing. The euro slumped to a near nine-year low against the dollar after another report that the European Central Bank (ECB) is moving closer to announcing a full-scale quantitative-easing programme. ECB policy makers, who have already cut their refinancing rate to a record, introduced a negative deposit rate and offered cheap funding to banks to boost lending, hold their next policy meeting on January 22. The ‘single’ currency has lost 5.2% versus the dollar over the past three months, as a very weak recovery and concerns about deflation have raised expectations that the ECB will begin purchasing sovereign bonds, beginning what economists call “full-blown” quantitative easing. CNBC reported yesterday that the ECB is planning to base its money printing programme on how much a national bank has paid to the ECB every year. This would then determine how much the ECB would buy of that country’s government bonds, a source close to the central bank told CNBC. Ahead of the ECB’s January meeting, economists increasingly expect the bank to announce full-blown QE after the latest consumer-price data showed the eurozone is battling deflation. Also supporting gold is the fact that the dollar has also weakened after the U.S. jobs report for December showed hourly wage growth contracted last month. This made investors delay their expectations for when the Federal Reserve will begin raising its benchmark interest rate. There are also questions as to how successful QE in the Euro area will be given the mixed results seen in the U.S. and Japan. Many economists are skeptical of QE and do not think it will be the panacea that some seem to think it is. The FT survey of 32 eurozone economists, mainly working in financial services, conducted in mid-December, found most expected the ECB to launch QE in 2015. However, most of the FT poll’s respondents expected growth and inflation to remain weak even with quantitative easing. Anticipation of QE in the eurozone and the possibly of the failure of QE is seeing gold rise. Gold in euros is at a 16 month high, the first time at these levels since September 2013. Resistance is at EUR 1,070 per ounce, however we would expect a correction soon given the speed of the recent gains. Gold remains 25% below the record euro gold high of 1,400 per ounce achieved in September 2012 at the height of the most recent phase of the Eurozone crisis. With the crisis set to resume, those holding euro denominated assets should hedge that exposure by diversifying their portfolios and allocating to gold. Today’s AM fix was USD 1,239.00, EUR 1,049.91 and GBP 820.97 per ounce. Yesterday’s AM fix was USD 1,222.00, EUR 1,035.77 and GBP 808.09 per ounce. Spot gold climbed $13.30 or 1.09% to $1,233.80 per ounce yesterday and silver rose $0.11 or 0.67% to $16.57 per ounce. Spot gold in Singapore rose as high as $1,238.81 an ounce, its highest since October 23, and was trading up 0.3 percent at $1,241 in late morning trade in London. Gold continued gains to the highest in almost 3 months. Plummeting oil prices which hit $45/barrel in New York and concern over when the Fed will increase interest rates are increasing gold’s attractiveness. U.S. Fed San Francisco President John Williams commented that raising rates in June would be a close call amid “strong momentum” in the labor market and weaker wage gains. The yellow metal has also had more interest due to the uncertainty with the Greek elections and the ECB meeting both set for next week. Gold bullion for immediate delivery rose as much as 0.9 percent to $1,244.29 an ounce, its highest price in dollars since Oct. 23, and traded at $1,239.06 at 10:01 a.m. in London, according to Bloomberg pricing. Silver was up 2.3 percent at $17.10 an ounce. Platinum was equivalent with gold after spending most of the last 18 months at a premium to the yellow metal. Spot platinum was up 0.8 percent at $1,247.30 an ounce, while spot palladium was up 0.5 percent at $817.90 an ounce. Turk is correct that Europe is heading for deflation. However the USA is poised for hyperinflation!! ABU DHABI, United Arab Emirates — The United Arab Emirates said on Tuesday that OPEC will no longer move to shore up crude prices, arguing that rising North American shale oil output needs to be curbed. World prices have been falling since June but the pace of the slide accelerated in November when the Organisation of the Petroleum Exporting Countries (OPEC) decided to maintain its production unchanged at 30 million barrels per day. Analysts say that richer cartel members like the UAE have been ready to accept the price fall in the hope that it will force higher-cost shale producers out of the market. “We cannot continue to be protecting a certain price,” the UAE energy minister, Suhail al-Mazrouei, said. Though the French central bank is, like other Western central banks, the agency of a nominally democratic government, its gold and currency market interventions will remain secret, the bank’s director of market operations, Alexandre Gautier, wrote yesterday in a reply to our friend Fabrice Drouin Ristori, chief executive officer of Goldbroker.com. Of course this particular episode of the unaccountability of central banking will not surprise anyone who has been following GATA. The question that now should be prompted by Gautier’s reply to Ristori is: Why doesn’t the Banque de France disclose its “management” of its foreign exchange reserves? We may assume that the answer is that the objective of this “management” is largely market manipulation and that transparency would defeat the objective. Secret intervention in markets by central banks — the destruction of markets, what even some central bankers themselves have called “financial repression” — is such a big financial news story, the only one that matters anymore, and would be so easy for mainstream financial news organizations to pursue. They would need to ask only: Are central banks secretly trading in the gold, currency, bond, and stock markets, directly or through intermediaries, or not? If they are doing such trading, is it just for fun or does it have policy purposes? If it does have policy purposes, what are they? And to be successful do these policy purposes require deception and expropriation of certain investors? — and if enough journalists started asking, the government security agencies couldn’t get away with killing them all. Is this business as usual? Last week I described the story of my New Year’s Eve shenanigans where I conducted a very “informal” poll. If you recall, my goal for the evening was to slip the phrase “when the banks close this year” into each conversation I had. I did this to see what type of reactions it would elicit. Sure enough, 100% of the reactions were either disbelief, or belief I was a crazyman. If you also recall, in each and every conversation I asked the question “do you believe the government is broke?” and also received a 100% response of agreement. The following exercise may again be very basic to you but it is my belief we all should revisit the basics every now and then to make sure our logic is on sound footings. What I want to do today is show you just 3 charts, the monetary base, velocity and Treasury debt to GDP as a percentage. The first chart below of the monetary base is a snapshot of the “size” of what our money supply is spawned from. This is a “picture” of the Fed if you will. Looking at this chart we can see several things. First, if you look very closely in 1999 and then again in 2001 there are two little blips upward. The first one was the Fed liquefying the system prior to the feared Y2K computer meltdown, the second one was their reaction to the 911 bombings. Today, these reactions look miniscule because the current levels are so much larger. I can assure you, at the time back then these “little blips” looked like explosions. Looking at this chart from a broad perspective, it looks like just a steady upward grind until late 2008. Something changed, we all of course know what that “something” was, the Great Financial Crisis struck! The upward explosion in the monetary base is an illustration of the Fed’s reaction to the credit markets freezing up and the derivatives chain beginning to break, they flooded the system with money. In retrospect, the Fed had no other choice than to PRINT! And print they did, the monetary base today is five times larger than it was in the middle of 2008. If you look at this chart from 2008 to present, something else stands out. There are four very distinct upward thrusts. These were of course QE1, operation twist, and QE’s 2 and 3. If you recall, each time one of these programs were announced, we were told it was necessary and it would “save the day”, restart the system AND “be the last one necessary”. Without going too far off on a side track, QE4 is only a “10% correction in the Dow” away. You see, each one of the past “QE’s” (monetizations) was announced just as the markets were faltering. Each one of these operations worked, temporarily. Each one was ended and then followed by a new, improved, and for a lack of better terms, BIGGER QE! It had to be this way and will have to be this way until a monetization ends in failure. The previous sentence needs a little explaining. First, monetizing (printing) was and is the only tool available to the Fed, it is either “inflate or die”. Each operation had to be bigger than the last one because the system itself (debt outstanding) continually got bigger. The last part of the sentence is the important part. All monetizations end in in failure, it is always just a question of when. “Failure” can arise with many different faces but the result is always the same, a broken currency. In today’s world, failure could be foreigners deciding to no longer accept dollars, it could happen because a single financial institution fails that sets off a chain reaction, it could happen by accident or it could happen on purpose. The potential reasons for failure are so numerous a book could be written. The important thing to understand is that ALL fiat currencies have failed and all monetizations have resulted in inflations. “Velocity” is basically the turnover of money. This is a measure more or less how many times and how quickly money is being spent or used. You can see velocity peaked out in 1996-1999 timeframe. If you can remember back then to “the good ole days”, this was when the dot com bubble was peaking and then blew up. You might also recall we were in a fairly deep recession by 2000 that was turned around by the Fed slashing interest rates drastically for the first time and also by the military buildup of the Iraq war. This last chart is pretty self explanatory yet in most all probability “bogus”. I say “bogus” for two reasons. First, because this is strictly Treasury debt and does not include agency debt nor future obligations. I have seen estimates where our total debt and future obligations are over $200 trillion. Secondly, I do not believe our GDP numbers to be correct. I believe there is certainly some double counting, made up numbers and useless “pork barrel spending” included. In any case, assuming this chart is correct, the U.S. now stands with a debt to GDP ratio of 105%. Historically, any country who broke the 100% level was considered to be entering “banana republic land”. The U.S. has had a higher debt to GDP ratio only one time in her history. This was after WWII and because of the amounts needed to fund our war efforts. There was a huge difference between then and now. Back then the U.S. had a manufacturing sector intact while much manufacturing overseas was destroyed by the war. Also, individuals nor corporations held much debt at all, much of this was liquidated during the Great Depression and debt was feared like the plague. Today, we have the opposite situation. The U.S. has willfully (purposely?) dismantled her manufacturing sector and not only is the Treasury levered up, so is the population, the corporate structure and the banking sector. Back then we had the ability to “work” our way out from under the debt, we had the ability to slowly inflate it away and we had the ability to borrow. None of these tools are available today with the exception of devaluing the currency. This by the way is the only tool available to and the final gasp of banana republics. Devaluation is not rocket science by any means, it is simply historical fact of unbacked fiat currencies. To wrap this up after looking at all three of these charts, what do they tell you? They tell me something has really changed. If I were in a coma from 2007 until present and woke up to see this, I would be terrified. Don’t get me wrong, I am terrified and know exactly what is coming but after living through the last six years, I have also become a little “numb” just as the public has become totally numb. The public believes the current situation is “business as usual”, this perception couldn’t be further from the truth! No thinking and honest person could possibly look at these charts and not see that something just is not right. Maybe the conclusion arrived at would be incorrect but it is undeniable that something very very big has changed. 3fOil: WTI 44.81 Brent: 45.85 /all eyes are focusing on oil prices. This should cause major defaults. 3k China to stimulate its economy by 1 trillion dollars worth of infrastructure/poor Chinese PPI numbers as their economy softens. 3n USA vs Russian rouble: ( Russian rouble down 3 roubles per dollar in value) 66.06!!!!!! So far today has been a replica of yesterday, with the crude rout continuing and pushing WTI under $45, but largely ignored by the FX carry pairs, and thus equity futures, which have seen some positive momentum from overnight trade data out of China where exports jumped 9.7% beating the 6% expectation, while imports fell 2.4% compared to a projected 6.2% decline as the trade surplus narrowed from November’s record $54.4 billion. For the full year, however, Chinese trade grew at just 3.4%, missing the government’s target of 7.5% growth for the third year in a row as the government quick to blame the slowing global economy. In any event, the USDJPY is well off the overnight lows which means the EuroStoxx is up some 0.8% which, just like yesterday, the E-mini is up some 9 points and rising. It remains to be seen if, just like yesterday, US equities will crash at a precipitous pace after the open, once algos realize that nothing at all has changed. Back to China, the trade numbers pushed the Shanghai Composite Index modestly higher by 0.2%, even if the overall Chinese stock market is massively overbought in recent months, and helped rebound the USDJPY from 117.80, a level not seen since mid December. Then again, China’s GDP print is due for release next week, and there are rumblings it may miss the government’s target of 7.5%, already the lowest in a century, only for the first time since 1998 when it is expected to print between 7.2% and 7.4%. Elsewhere in Asia, JGBs trade higher supported by weakness in Japanese equities although the Nikkei 225 (-0.64%) bounced off worst levels after shedding over 300 points, weighed on by JPY strength and a further fall in oil prices. Other Asian equity markets trade mixed with outperformance observed across the Hang Seng (+0.01%). And speaking of global slowdown, the 10 Year continues to tell the real story, and has dropped to 1.88% as of this moment, the lowest since October 15 with the 30 Year new record lows! Bloomberg observes that “signs of short covering in Asia” are pushing yields even lower (as expected), with strong volumes in TYH5, eurodollars, according to InTouch Capital Markets managing director David Fuller writes in note. Stops seen in futures space after taking out highs from New York session. European equities, however, ignore the macro and focus on micro updates, trading higher amid positive broker moves with consumer discretionary stocks leading the advance with ASOS and Morrisons seen up in excess of 5% following pre-market trade updates. However, the continued decline in oil prices continues to weigh on energy stocks resulting in underperformance in Europe once again. In macro news, the Greek Finance Minister Hardouvelis said Greece could stumble out of the Euro by accident if a new government fails to reach an agreement with international creditors soon after this month’s elections. Separately, ECB’s Nowotny, Noyer and Coeure all signal that the ECB are still in discussion over the details of a potential QE program, ahead of their schedule meeting on the 22nd of January. In summary: European shares near session highs with retail and autos sectors outperforming and tech, basic resources underperforming. China December exports rise more than estimates. U.K. inflation slows more than forecast. Crude oil, copper extend declines, ruble weakens. Japan 5-year bond yield drops to zero for first time. French and German markets are best-performing larger bourses, Swedish the worst. The euro is weaker against the dollar. Japanese 10yr bond yields fall; French yields decline. Commodities decline, with Brent crude, WTI crude underperforming and natural gas outperforming. U.S. monthly budget statement, JOLT job openings due later. European bourses reside in positive territory shrugging off the continued slide in oil prices and the lagging energy sector after WTI broke below USD 45 earlier this morning. Looking ahead to the US session highlights include the Fed’s discount minutes, API crude oil inventories and USD 21bln to be sold in a 10yr note auction. Treasuries gain, 10Y yield falls to lowest since Oct. 15, 30Y nears record low as WTI crude breaks below $45/bbl. Week’s auctions continue with $21b 10Y, WI 1.885% lowest since May 2013; drew 2.214% in Dec. The trend lower in crude is indeed continuing as yesterday saw fresh cycle lows again with Brent now following WTI below $50 for the first time since April 2009. Indeed both WTI (-4.74%) and Brent (-5.35%) closed the day at $46.07/bbl and $47.43/bbl – hitting fresh five and a half year lows (and have declined some 1.5%-2% further this morning). Downgraded 2015 broker forecasts appear to be the reason for yesterday’s move with the result an all-too-similar sharp sell off for energy stocks. Yesterdays -0.81% close for the S&P 500 was not helped by a 2.80% decline in the energy sector. Credit markets also weakened with IG23 1.7bps wider on the day. US HY energy stocks fared little better with spreads closing 20bps wider whilst at the US’s second largest oil producer, the latest count of the North Dakota oil rigs showed the number of operating rigs falling to the lowest level since November 2010. On a related subject, it’ll be interesting to see what today’s inflation data in the UK brings. Following November’s 1% yoy CPI headline reading, our UK economists note that household energy bills have not risen in December (having been up 6.4% a year ago) and petrol prices have dropped by some 5% at the pump. As a result they expect the headline reading to fall well below 1% to 0.6% yoy for December. Before this number 30 year Gilt yields hit a record low of 2.314% yesterday. While we have plenty of sympathy for why yields will stay relative low for some time we wonder what the average inflation rate in the UK will be over 30 years. Answers on a postcard please. Happy to hear all genuine guesses and I’ll average the results in tomorrow’s edition. My guess is nearer to 4% but with no sign that we’re getting close to that level anytime soon. Coming back to markets, the fall in Oil and uncertainties continue to support US Treasuries with the 10y benchmark closing at 1.907% and 3.8bps lower on the day. In fact 10y yields are now 27bps lower than they were at the end of 2014 and are trading lower again this morning with the yield just breaking through 1.90% as we go to print (1.894%). In terms of Fedspeak, there was something for everyone. Commenting after the US close, the Fed’s Williams was quoted on Bloomberg saying that ‘I would expect by June that the argument pro and con for lifting off rates will probably be a close call’. The Fed official noted that last week’s data shows ‘significant employment gains’ but that ‘on the other side, wage and price data are still soft’. This comes on the back of comments from Lockhart which we mentioned yesterday, suggesting that the Fed should take a ‘cautious and conservative approach’. Finally in the US, the calendar was quiet data-wise yesterday with just the lesser followed labour market conditions index showing improvement through December (6.1 vs. 2.9 previously). Although closing off the intraday highs, European equity markets actually closed firmer yesterday with the Stoxx 600 and Dax finishing +0.57% and +1.38% respectively – benefiting from the timing in the oil sell off. On top of this, a second successive stronger day for Greek equities (+3.78%) also helped the better sentiment with the market appearing to come to terms with the latest opinion polls data over the weekend showing SYRIZA maintaining its lead. European government bonds also had a stronger day with 10y yields Bunds closing 1.4bps lower at 0.477% and peripheral bonds also tightening with Spain (-8bps), Italy (-6.7bps) and Portugal (-4bps) all lower. With no significant data releases, the moves were perhaps aided by comments out of the ECB’s Nowotny who lent a hand to those in support of imminent ECB QE by saying that ‘you always have to consider that monetary policy has an impact only after a long delay’, going on to say ‘that means if I want to do something I should do it sooner rather than later’. Comments from the ECB’s Noyer were also interesting with the central bank official noted in the Handelsblatt saying that ‘any QE program would have to have clear limits measured in percent of outstanding debt, to ensure that the majority of government financing goes through the private market’. Away from the obvious ECB, Fed, Energy and Greece news in the near term, earnings season in the US is also just kicking into gear. Reuters noted that Q4 earnings for S&P 500 companies are expected to have increased 3.8% yoy although earnings for energy stocks could be as much as 21% yoy lower. The early signs overnight were decent with US aluminum producer Alcoa reporting a solid beat in the US after market close and perhaps more importantly, as something of a cyclical bellwether, signaling to a strong 2015 outlook. It’ll be interesting to see the market reaction to those companies with any significant oil exposure however and we should get an early taste of that with Schlumberger reporting on Thursday. We’re also expecting some numbers out of the banks this week too including JP Morgan, Goldman Sachs and Citigroup. Refreshing our screens this morning, despite both WTI (-1.69%) and Brent (-1.98%) falling further through the Asia session, equity bourses are fairly mixed across the region. The Nikkei (-1.35%) and Kospi (-0.13%) are both lower, however the Shanghai Composite (+0.42%) and Hang Seng (+0.77%) are proving resilient. The latter markets in particular appear to be supported by a better than expected trade surplus print in China with exports (+9.7% yoy vs. +6.0% expected) in particular surprising to the upside through December. Following a larger than expected trade surplus print in Japan too this morning, boosted by a weaker Yen, 5y JGB’s have declined to 0.001% having briefly traded in negative territory – joining just Germany and Switzerland as the only nations with negative 5y yields. In terms of the rest of today’s calendar, aside from the UK inflation data it’s a quiet morning data-wise with just the German wholesale price index and Italian industrial production. In the US this afternoon, the calendar picks up starting with the NFIB small business optimism survey for December. This is then followed up by the IBD/TIPP economic optimism reading for January and then the JOLTS job opening print for November – important given that it breaks down job openings, hiring’s and separations. Later on this evening we will also get the monthly budget statement out of the US. Guess who is buying boatloads of oil: China!! as they are filling up their strategic reserves. What happens when they are finished buying this excess? Despite the collapse of several key industries (cough Steel & Construction cough), as we have discussed in detail related to the record number of VLCCs charging towards China, Chinese crude oil imports surged by almost 5 million barrels in December – the most on record. This 19.5% surge MoM (and 13.4% YoY) indicates significant efforts to fill the nation’s strategic reserve but –absent this ‘artificial’ demand – spells problems for an already over-supplied global oil market (and its near record contango). They have a point! Arab ministers state that the world (USA??) should reduce ‘irresponsible’ production. See why!! 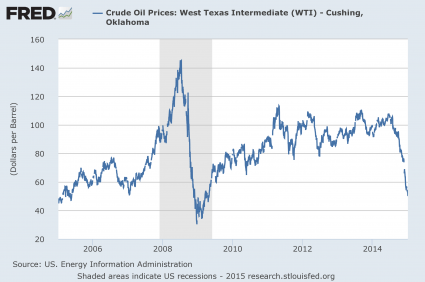 Did The Fed Ignite The “Irresponsibility” Of US Oil Over-Supply? As Bloomberg’s Chart of the Day shows, crude production in the U.S. increased 75 percent over the past 5 years while output from the Organization of Petroleum Exporting Countries grew 5 percent. Canada boosted supplies by 42 percent while Brazil pumped 24 percent more, according to data from New York-based Energy Intelligence Group. “The biggest contributor to the glut has been the rising output in the U.S., which has driven up global supplies,” said Kang Yoo Jin, a commodities analyst in Seoul at NH Investment & Securities Co. However, what we find most intriguing is the inflection point in US production came at a coincidentally (because to claim causality would be ridiculous, right?) crucial time for the Federal Reserve as it went all in on unlimited open-ended money-printing which crashed the cost of funding for any and every project no matter how non-economic through-the-cycle. Now that even the pundit brigade has confessed that crashing crude may not be the “unambiguously good” event all of them had sworn as recently as a month ago it surely would be, and stocks are beginning to comprehend that plunging oil may well be rather “unambiguously bad” because without EPS growth (energy is well over 10% of S&P EPS), without multiple expansion (rumor has it the Fed will hike this year), without a jump in stock buybacks (energy companies account for 30% of the buyback growth in 2015 according to Goldman) and without a boost to GDP (energy capex plans are imploding), the only way is down. But there was one key element missing from the “bad” scenario: impaired banks. At least until now, because as Reuters reports, Asia-focused bank Standard Chartered is the first (of many) bank facing billions in losses resulting from the crude crash. The bank, which recently has been on a firing spree and even exited its entire equity business, will likely need $4.4 billion of extra provisions to cover losses from commodities loans, potentially forcing it to raise billions of dollars from investors, analysts said on Monday. Credit Suisse analysts said the losses could force Standard Chartered to raise $6.9 billion to improve its core capital ratio to 11 percent by the end of the year. “We think the needed provisioning could be large enough to require further capital measures, such as further equity raising, and/or dividend reductions,” analyst Carla Antunes-Silva said in a note. Standard Chartered’s shares were down 2.3 percent at 923 pence by 1330 GMT, the weakest major European bank. There were previous hints, completely ignored by the markets of course, that things at this China-heavy bank are going from bad to worse: a jump in Standard Chartered’s bad debts in the third quarter has prompted concern that it could face heavy losses from commodities loans after the fall in the price of oil and commodities. Credit Suisse’s estimate was based on an “adverse” scenario that would see the bank need $4.4 billion to maintain its capital ratio, based on a potential $2.6 billion of pretax provisioning for commodities loans that sour and a higher risk-weighting on the loans. Then again, considering that the “adverse” scenario in the ECB stress case didn’t even consider the current deflationary environment, the loss could be far higher. Which means capital raises are on deck, and logically Credit Suisse said the bank could announce a rights issue or cut the dividend at its 2014 results, due on March 4. “We believe the last two years of de-rating have been driven largely by weaker revenue and that the asset quality deterioration leg is now setting in,” said Credit Suisse, maintaining its “underperform” rating on the stock. Analysts at JPMorgan and Jefferies also cut their target prices on the stock on Monday, saying that credit quality could deteriorate. Standard Chartered CEO Peter Sands is under pressure after a troubled two years in which profits have fallen, halting a decade of record earnings. Some investors have said that Sands should go or the bank should set out succession plans. One down: many more to go. Hopefully equity investors are as generous to all those other banks who will bestunned to learn they, too, need billions more in capital. Suncor Energy Inc. announced today significant spending reductions to its 2015 budget in response to the current lower crude price environment. The cuts include a $1 billion decrease in the company’s capital spending program, as well as sustainable operating expense reductions of $600 million to $800 million to be phased in over two years offsetting inflation and growth. Suncor is implementing a number of initiatives to achieve the cost reduction targets. These include deferral of some capital projects that have not yet been sanctioned, such as MacKay River 2 and the White Rose Extension, as well as reductions to discretionary spending. Budgets affecting the company’s safety, reliability and environmental performance have been specifically excluded from the cost reduction program. Suncor has also implemented a series of workforce initiatives that will reduce total workforce numbers in 2015 by approximately 1000 people, primarily through its contract workforce, in addition to reducing employee positions. There will also be an overall hiring freeze for roles that are not critical to operations and safety. Major projects in construction such as Fort Hills and Hebron will move forward as planned and take full advantage of the current economic environment. These are long-term growth projects that are expected to provide strong returns when they come online in late 2017. Suncor has issued an update to its 2015 guidance to reflect, among other items, reduced spending and lower pricing and related assumptions. Production guidance for 2015 has not changed. Suncor’s fundamental goals remain the same, with operational excellence, capital discipline and profitable growth remaining key to its business strategy. In fact, today’s announcement reflects the application of these principles, in the context of the current low price environment. Many, many more to go. If you were waiting for a “black swan event” to come along and devastate the global economy, you don’t have to wait any longer. As I write this, the price of U.S. oil is sitting at $45.76 a barrel. It has fallen by more than 60 dollars a barrel since June. There is only one other time in history when we have seen anything like this happen before. That was in 2008, just prior to the worst financial crisis since the Great Depression. But following the financial crisis of 2008, the price of oil rebounded fairly rapidly. As you will see below, there are very strong reasons to believe that it will not happen this time. And the longer the price of oil stays this low, the worse our problems are going to get. At a price of less than $50 a barrel, it is just a matter of time before we see a huge wave of energy company bankruptcies, massive job losses, a junk bond crash followed by a stock market crash, and a crisis in commodity derivatives unlike anything that we have ever seen before. So let’s hope that a very unlikely miracle happens and the price of oil rebounds substantially in the months ahead. Because if not, the price of oil is going to absolutely rip the global economy to shreds. What amazes me is that there are still many economic “experts” in the mainstream media that are proclaiming that the collapse in the price of oil is going to be a good thing for the U.S. economy. If rapidly falling oil prices are good economic news, that collapse should have pushed the U.S. economy into overdrive. But that didn’t happen, did it? Instead, we plunged into the deepest recession that we have seen since the Great Depression. And unless there is a miracle rebound in the price of oil now, we are going to experience something similar this time. U.S. oil drillers laid down the most rigs in the fourth quarter since 2009. And things are about to get much worse. The rig count fell by 93 in the three months through Dec. 26, and lost another 17 last week, Baker Hughes Inc. data show. About 200 more will be idled over the next quarter as U.S. oil explorers make good on their promises to curb spending, according to Moody’s Corp. But that was just the beginning of the carnage. 61 more oil rigs shut down last week alone, and hundreds more are being projected to shut down in the months ahead. A few days ago, Helmerich & Payne, announced that it would idle 50 more drilling rigs in February, after having already idled 11 rigs. Each rig accounts for about 100 jobs. This will cut its shale drilling activities by 20%. The other two large drillers, Nabors Industries and Patterson-UTI Energy are on a similar program. All three combined are “likely to cut approximately 15,000 jobs out of the 50,000 people they currently employ,” said Oilpro Managing Director Joseph Triepke. More than 20,000 small and midsize firms drive the “hydrocarbon revolution” in the U.S. that has helped the oil and gas industry thrive in recent years, and they produce more than 75 percent of the nation’s oil and gas output, according to the Manhattan Institute for Policy Research’s February 2014 Power & Growth Initiative Report. The Manhattan Institute is a conservative think tank in New York City. If the price of oil makes a major comeback, the carnage will ultimately not be that bad. But if it stays at this level or keeps going down for an extended period of time, it is inevitable that a whole bunch of those firms will go bankrupt and their debt will go bad. That would mean a junk bond crash unlike anything that Wall Street has ever experienced. And as I have written about previously, a stock market crash almost always follows a junk bond crash. These are things that happened during the last financial crisis and that are repeating again right in front of our eyes. Another thing that happened in 2008 that is happening again is a crash in industrial commodity prices. At this point, industrial commodity prices have hit a 12 year low. I am talking about industrial commodities such as copper, iron ore, steel and aluminum. This is a huge sign that global economic activity is slowing down and that big trouble is on the way. Globally there are over $9 trillion worth of borrowed US Dollars in the financial system. When you borrow in US Dollars, you are effectively SHORTING the US Dollar. Which means that when the US Dollar rallies, your returns implode regardless of where you invested the borrowed money (another currency, stocks, oil, infrastructure projects, derivatives). Take a look at commodities. Globally, there are over $22 TRILLION worth of derivatives trades involving commodities. ALL of these were at risk of blowing up if the US Dollar rallied. Unfortunately, starting in mid-2014, it did in a big way. This move in the US Dollar imploded those derivatives trades. If you want an explanation for why commodities are crashing (aside from the fact the global economy is slowing) this is it. Once again, much of this could be avoided if the price of oil starts going back up substantially. Goldman Sachs, CitiGroup, Societe General and Commerzbank are among the latest investment banks to reduce crude oil price estimates, and without production cuts, there appears to be more room for lower prices. Representatives of Saudi Arabia, the United Arab Emirates and Kuwait stressed a dozen times in the past six weeks that the group won’t curb output to halt the biggest drop in crude since 2008. Qatar’s estimate for the global oversupply is among the biggest of any producing country. These countries actually want — and are achieving — further price declines as part of an attempt to hasten cutbacks by U.S. shale drillers, according to Barclays Plc and Commerzbank AG. Never is a very strong word. Could there be such a massive worldwide oil glut going on right now that the price of oil will never get that high again? Well, without a doubt there is a huge amount of unsold oil floating around out there at the moment. Some of the world’s largest oil traders have this week hired supertankers to store crude at sea, marking a milestone in the build-up of the global glut. Trading firms including Vitol, Trafiguraand energy major Shell have all booked crude tankers for up to 12 months, freight brokers and shipping sources told Reuters. The fundamentals for the price of oil are so much worse than they were back in 2008. We could potentially be looking at sub-$50 oil for an extended period of time. If that is indeed the case, there will be catastrophic damage to the global economy and to the global financial system. So hold on to your hats, because it looks like we are going to be in for quite a bumpy ride in 2015. Russia’s top general said on Tuesday he would beef up combat capabilities this year in Crimea, the Arctic and the country’s westernmost Kaliningrad region that borders two NATO states. The remarks by General Valery Gerasimov, chief of the General Staff of the Armed Forces, are likely to deepen concern in the West over what it sees as Russia increasingly flexing its muscles since the start of the crisis in Ukraine. “In 2015, the Defence Ministry will focus its efforts on increasing the combat capabilities of its units and increasing combat strength in accordance with the military development plans,” Gerasimov told Russian journalists. “Special attention will be given to the groups in Crimea, the Kaliningrad region and the Arctic,” he was quoted as saying by Russian news agencies but gave no further details. His remarks follow the adoption of a new military doctrine signed by President Vladimir Putin in December which underlines the need to protect Russia’s interests in the Arctic and identifies NATO expansion as an external risk. Russia deployed 14 military jets to Crimea last November as part of a squadron of 30 that will be stationed there, making clear it intends to strengthen its presence on the peninsula since annexing it from Kiev last March. NATO’s top military commander, General Philip Breedlove, said the alliance was already looking at stepping up exercises in the Baltic Sea region in response to a rise in Russian military manoeuvres there late last year. Breedlove warned at the time that Russia’s “militarization” of Crimea could be used to exert control over the Black Sea. He said on Tuesday NATO was considering adapting a programme of military exercises in the Baltic Sea region, where he said Russian activities had changed in character and showed capabilities not seen before. “The first series of changes will not be an increase in number but they will be to group them together … to better prepare our forces and to allow nations to work together as a NATO force, but we are looking at increasing some exercises,” he said at a NATO base at Szczecin in northwest Poland. NATO has boosted its military presence in eastern Europe, saying it has evidence Russia orchestrated and armed the rebellion in eastern Ukraine last year that followed the overthrow of a Kremlin-backed president in Kiev. Situation in eastern Ukraine is deteriorating, RIA Novosti reports, citing Russian Deputy Foreign Minister Grigory Karasin. The European Union could significantly scale back sanctions and resume discussions with Russia on issues from visa-free travel, co-operation with the Moscow-led Eurasian Economic Union and the crisis in Libya, Syria and Iraq if Russia moves to end the crisis in eastern Ukraine, according to an EU discussion paper. While insisting the EU cannot return to “business as usual” with Moscow, the papersuggests the EU consider gradually normalizing many aspects of its ties with Russia in what would be a significant shift in relations. It says that would depend on Moscow fully implementing the peace and cease-fire deals it signed with Ukraine, standing by its gas-supply agreement with Ukraine and throwing no fresh wrenches in the way of the EU-Ukraine trade and political pact. The paper, which has not yet been sent to member states, was prepared by the EU’s foreign-policy arm ahead of a meeting of the bloc’s foreign ministers on Monday in Brussels. No immediate decisions are expected from that meeting where the EU’s medium-term approach to Russia is the main item on the agenda. EU energy chief Maros Sefcovic will visit Moscow on Wednesday for discussions with top officials from the government and the state gas company Gazprom. We get the following story from Tass where Kiev is ready to seize private cars for army needs. KIEV, January 13. /TASS/. 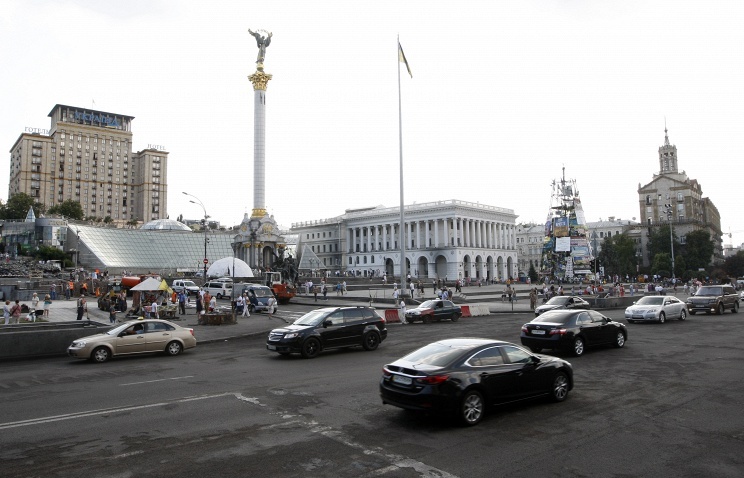 Apart from people, Ukraine plans to mobilize cars owned by both businessmen and state enterprises for the needs of the military in Donbas, a senior official at the mobilization planning directorate of the General Staff said on Tuesday. “We are planning on seizing transport vehicles and equipment during the next mobilization waves which will be sent to special centers in Ukraine and also engineer bases so that we can accept this equipment, carry out maintenance and then send it for accomplishing tasks,” Maj. Gen. Volodymyr Talalai told reporters. The number of vehicles subject to mobilization has been set by the country’s cabinet of ministers. Local media reports said the Ukrainian authorities are primarily interested in SUVs, pickups and minivans. “The equipment is seized free of charge but in case it is destroyed during the armed actions the state will have to pay the damages,” Talalai said. The plans have been announced ahead of the fourth mobilization wave in Ukraine which begins on January 20, while another two campaigns are planned to be carried out in April and June. Some 50,000 people are due to be mobilized. Just two days ago we detailed the possibility that Russia could accelerate debt repayment on a $3 billion loan it granted to Ukraine that has broken its covenants. While there is no word yet from Russia on a decision whether to demand the payment, it appears, as Reuters reports, the US taxpayer – just as we warned – is quite willing to step up (thanks to their leaders in Washington) and guarantee $2 billion in loans to the world’s 2nd most credit risky nation (after Venezuela). The United States plans to provide up to $2 billion in loan guarantees to Ukraine this year, the U.S. Treasury said on Tuesday, as part of a broader international package to stave off bankruptcy. Like other major donors to the country, Treasury said the guarantees would becontingent on the former Soviet republic remaining on track to meet the conditions of its loan program from the International Monetary Fund. Treasury said it would provide a $1 billion loan guarantee to Kiev in the first half of this year, and work with the U.S. Congress to provide an additional $1 billion guarantee, but only if Kiev sticks with its reform agenda. So where does the nation stand? The cost of insuring exposure to Ukrainian debt rose to a new 5-1/2 year high on Tuesday, according to data from Markit, a financial information provider, amid fears the country may have to restructure its debt. Ukraine’s foreign currency reserves were down to just over $7.5 billion at the start of the year, the lowest in 10 years and barely enough to cover five weeks of imports. With the huge fall in the price of oil today, the Russian rouble fell to the 66 handle. With the fall in the rouble, Russian steel will now have a big competitive advantage over the big Indian steel industry. Some local buyers are turning to Russian alloy instead after the past year’s 49 percent plunge in the ruble — the world’s steepest — made the nation’s exports cheaper. “In the past month or so, deals have been struck for steel imports from Russia,” said JSW Steel’s Mumbai-based Senior Vice President Sharad Mahendra, referring to users and traders of the alloy. Such purchases “will only increase,” he said. India’s overseas markets such as the Middle East also may turn to more Russian steel, adding to existing competition from Chinese shipments. Russian companies can offer discounts on the Indian hot rolled steel price, which is $550-$600 a ton, said Mumbai-based Niraj Shah, founder of steelanalyst.com, who specializes in Russia and India. “Apart from shipping steel to India, Russia will also look to sell to markets where India exports,” Shah said, adding sanctions are discouraging demand in parts of Europe. The first Russian steel may arrive in India next month, he said. Indian steelmakers raised output targets for the year ending March 31, 2015. Modi made higher investment and better infrastructure key priorities after sweeping to office in May. His government plans to make India a global manufacturing hub. Domestic steel producers may have to “lower prices if they want to sell more,”according to New Delhi-based A.S. Firoz, chief economist at the Steel Ministry’s economic research unit. “This will be a threat to Indian steel mills,” he said. India’s total imports of the alloy exceeded 6.5 million metric tons in the nine months through December. That’s 1 million tons more than the year ended March 31, 2014, official data show. Having unveiled his non-boots-on-the-ground strategy in September, President Obama’s “promise” was quickly proved fragile when General Martin Dempsey, the chairman of the joint chiefs of staff, indicated to the House of Representatives armed services committee that the strength of ISIS relative to the Iraqi army may be such that he would recommend abandoning Obama’s oft-repeated pledge against returning US ground troops to combat in Iraq. It seems another promise is about to be broken as Bloomberg reports Senator John Cornyn said President Obama told congressional leaders during meeting today at White House he would seek authorization for military force on Islamic State. Boehner’s office, in separate statement after meeting, said Republicans would work with him to build support. President Obama told congressional leaders during meeting today at White House he would seek authorization for actions on Islamic State, Republican Sen. John Cornyn tells reporters. Retaking the critical city of Mosul, Iraq’s second largest, and re-establishing the border between Iraq and Syria that Isis has erased “will be fairly complex terrain” for the Iraqi security forces that the US is once again supporting. “I’m not predicting at this point that I would recommend that those forces in Mosul and along the border would need to be accompanied by US forces, but we’re certainly considering it,” Dempsey said. Iraq will need about 80,000 effective military troops to retake the terrain it lost to Islamic State militants and restore its border with Syria, the top U.S. general said on Thursday. “We’re going to need about 80,000competent Iraqi security forces to recapture territory lost, and eventually the city of Mosul, to restore the border,” Army General Martin Dempsey, the chairman of the Joint Chiefs of staff, told a congressional hearing. The Greek general election is just around the corner, and as expectations for a Greek overhaul, if not outright Grexit, rise so does the rhetoric by the man who, barring an act of god or Diebold, will be the next Greek premier: Alexis Tsipras, who some see as the catalyst for a Grexit, while others describe as merely yet another apparatchik of the Troika. Overnight Tsipras wrote an op-ed article in Germany’s Handelsblatt newspaper, summarized by Bloomberg, in which he said the notion that Greece’s economy has stabilized is an “arbitrary distortion of the facts.” He said that while the economy grew 0.7 percent in the third quarter, the recession isn’t over because of 1.8% deflation. So what exactly is his goal, aside from promising lower taxes and other things which the Greek government will be unable to achieve absent a surge in external funding, especially now, as we explained before, the Greeks have stopped paying their taxes entirely in advance of the elections? “The truth is that Greece’s debt cannot be repaid as long as our economy is subjected to constant fiscal waterboarding,” Tsipras said in Handelsblatt. Sorry, the truth is that Greek debt cannot be repaid, period. 1. Europe stocks all in the green. Your closing Spanish 10 year government bond, Tuesday flat in basis points in yield from Monday night. Spanish 10 year bond yield: 1.64% !!!!!! The euro again reversed course in the southbound direction in value during the afternoon and by closing time , finishing down by .0068 and well below the 1.18 level to 1.1764. The yen was well up in the afternoon, and it was up by closing to the tune of 61 basis points and closing well below the 118 cross at 117.73 still causing much grief again to our yen carry traders who need a much lower yen. The British pound lost some ground during the afternoon session but it was down on the day closing at 1.5148. The Canadian dollar was up in the afternoon and was up on the day at 1.1966 to the dollar. As explained above, the short dollar carry trade is being unwound, the yen carry trade and now the Nikkei/gold carry trade and these unwinding are causing massive derivative losses. And as such. these massive derivative losses is the powder keg that will destroy the entire financial system. Your closing USA dollar index: 92.32 up 33 cents from Monday. your 10 year USA bond yield , down 2 in basis points on the day: 1.89%!!!! Closing USA/Russian rouble cross: 65.60 down 2 3/4 roubles per dollar on the day. Can you see where that news hit? Today California, tomorrow every other state. It also means that the stock, which was down 25% as of moments ago, still has some 75% downside to a company which the “smartest money in the room” could not stop fawning over as recently as the fall of 2013 when the stock was trading around $60/share and about which “brilliant” investor Steve Eisman said “once in awhile you come across a company that is completely and utterly mis-priced.” Ironically, he was absolutely spot on. He just got the direction wrong. As for Ocwen? Just call it Ocdaed. And the stock markets go up???? WASHINGTON – Christmas is over. Now get out. That was the word this week as two of the nation’s giant retailers announced to employees and shoppers the closings of dozens of stores. Macy’s is closing 14 of its 790 stores across the country. JCPenney is closing 39 of its stores and laying off 2,250 workers. And that’s just the beginning of the retail earthquake hitting America, say analysts. The last few years have not been kind to major store chains. Many once revered brands have been closing stores. Apparently some were only staying open through the Christmas season, which will prove to be their last. Sears has been around for 122 years, but it, too, is closing 235 under-performing stores. Sears and Kmart lost $296 million in 2014. During 2014, Sears Holdings closed about 200 of the Sears and Kmart stores. Even chic newer retailers are closing their doors. C. Wonder, the preppy retailer, is going out of business, closing all 11 of its U.S. stores in the next few weeks. Wet Seal is closing 338 retail stores while dealing with bankruptcy proceedings. Nearly 3,700 full- and part-time workers will be unemployed. “This was a very difficult decision to make, but after reviewing many other options since I returned to the company in September, our financial condition leaves us no other alternative than to close these stores,” Wet Seal chief executive Ed Thomas said in a statement. For many workers, like those at Wet Seal, there is no severance pay and no compensation for accrued vacation time. Aeropostale, suffering from declining sales, closed 75 stores during the holiday season, which runs from November through January. And in 2015, they expect to close an additional 50 to 75 stores. RadioShack, which is negotiating with lenders to gain approval to shutter 1,100 stores, said last month that it closed 175 locations in 2014. Online shopping is most often cited as the major problem for brick-and-mortar retail stores. Online sales now account for about 13 percent of all retail sales. As increasingly has become the common circumstance, the upside revisions in headline monthly numbers simply are constructs of highly unstable, inconsistent and questionable seasonal adjustments being shifted between months. The unadjusted data do not revise, but the adjusted data pick up bogus growth from gimmicked reporting . . . Counting All Discouraged Workers, December 2014 Unemployment Was 23.0%. . . . More than anything else, though, what removes headline-unemployment reporting from broad underlying economic reality and common experience simply is definitional. To be counted among the headline unemployed (U.3), an individual has to have looked for work actively within the four weeks prior to the unemployment survey. If the active search for work was in the last year, but not in the last four weeks, the individual is considered a “discouraged worker” by the BLS [and not counted in the U.3 measure]. ShadowStats defines that group as “short-term discouraged workers,” as opposed to those who become “long-term discouraged workers” after one year. Moving on top of U.3, the broader U.6 unemployment measure includes only the short-term discouraged workers. The still-broader ShadowStats-Alternate Unemployment Measure includes an estimate of all discouraged workers, including those discouraged for one year or more, as the BLS used to measure the series pre-1994, and as Statistics Canada still does. Note: brackets indicate my comments. 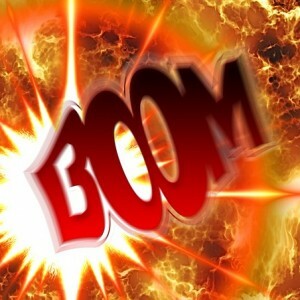 The U.S. Justice Department has yet to summon the courage to bring a criminal courtroom trial against JPMorgan’s top executives but a serious public trial is underway nonetheless at the websitewww.JPMadoff.com. Originally styled as a venue for the public to read a free chapter a month of the book, JPMadoff: The Unholy Alliance Between America’s Biggest Bank and America’s Biggest Crook, the two attorneys who created the site have now moved into their grand jury stage, presenting hard evidence in Chapter 5 on why RICO charges can, and should, be brought against top executives at JPMorgan Chase. 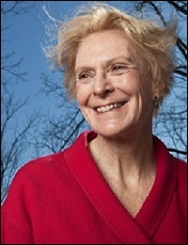 The book’s authors and site creators are Helen Davis Chaitman and Lance Gotthoffer. Chaitman is a nationally recognized litigator and author of The Law of Lender Liability. She is also a Bernie Madoff victim who lost a large part of her life savings to his Ponzi scheme and then tenaciously represented other victims of his fraud in district and appellate courts. 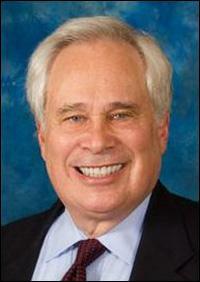 Gotthoffer has practiced law for almost four decades, including landmark financial litigations. Gotthoffer served as lead counsel for a consortium of major banks in the 90s in what was at the time the largest bank fraud in U.S. history by Arochem executives, an oil company. Gotthoffer’s banking clients sued Chase Bank, a forerunner to JPMorgan Chase, and accounting firm, Ernst & Young, for not doing enough to prevent the fraud. Gotthoffer argued the only successful appeal arising from the cases before the Second Circuit Court of Appeals. The Wheel pinpoints crimes that are as unconscionable as they are systemic: overcharging active duty military on mortgages and illegally foreclosing on their homes while they put their life at risk for their country; billing customers for credit monitoring services that never existed; rigging California and Midwest electric markets, and on and on.